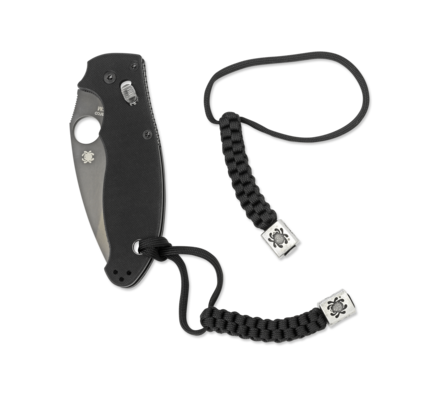 Perrin PPT™ Solid CF - Spyderco, Inc. Page 1120 – Spyderco, Inc. The original PPT folder design was a collaborative effort between French custom knifemakers Fred Perrin, Philippe Perotti, and Sacha Thiel. Its most distinctive feature was a hybrid lock that combines the strength of a Reeve Integral Lock (R.I.L.) with the superior corrugated texture of 3-D machined scales. The curved, pistol-grip-style profile of its handle also fit the natural contours of the hand to provide exceptional ergonomics and outstanding control over the flat-ground Bowie-shaped blade. This limited-edition Sprint Run of the PPT combines all the defining features of the original with stunning solid carbon fiber scales and a high-performance CPM S90V blade. True to the original, it includes a deep-pocket carry clip configured for discreet, right-side, tip-up carry. A truly spectacular expression of one of the most coveted Spyderco designs ever produced, this knife is destined to be an instant collector’s item.